Dorinda Clark-Cole is an American evangelist and gospel singer. She is best known as a member of The Clark Sisters and has won three Grammy Awards. Now enjoy her designer fashion line today! 1pc Women's sheath dress with laser-cut bell sleeves. 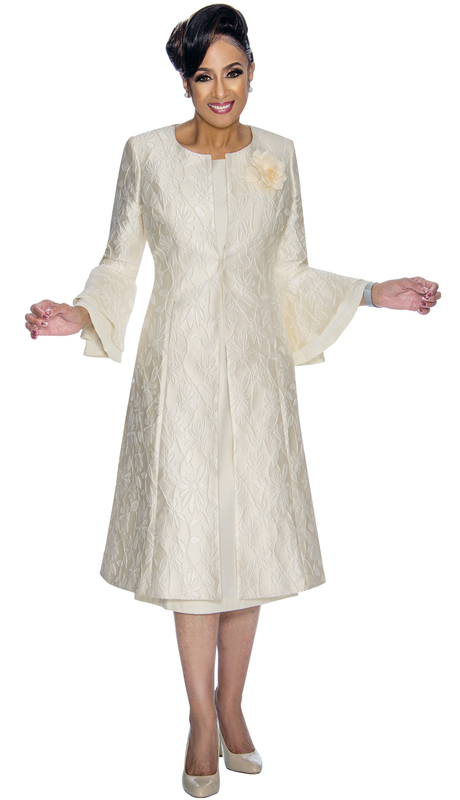 2pc Women's long dress in lace with jacket. 1 piece fitted, silky twill dress. 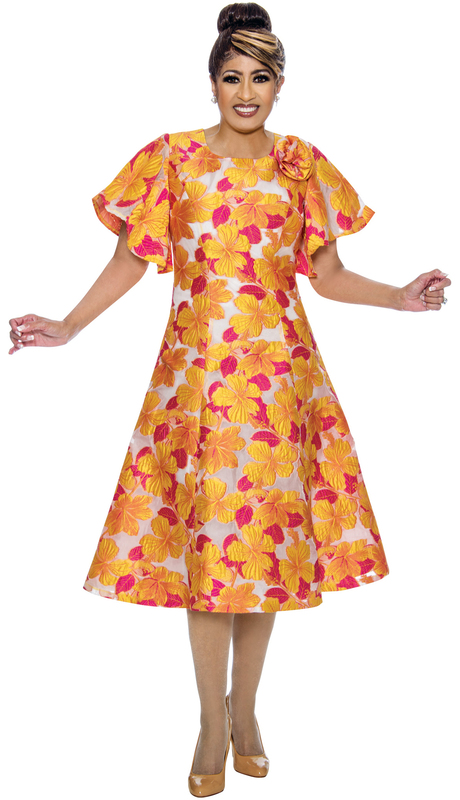 Floral brocade pattern and flared sleeves. 2 piece fitted, floral brocade dress. Cropped, shawl collar jacket and dramatic flared sleeves. 2 piece fitted, silk twill dress in metallic floral print. Cropped shawl collar jacket with dramatic flared sleeves. 2 piece silky dress. 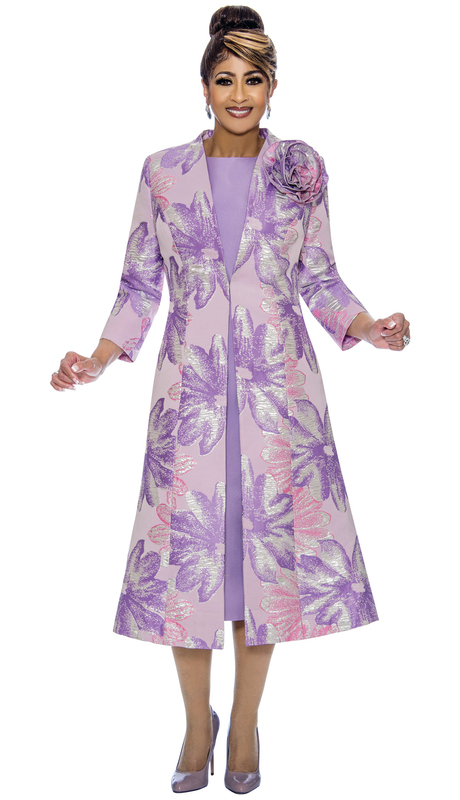 Full length floral brocade, collarless jacket with flared sleeves. Large floral brooch included. 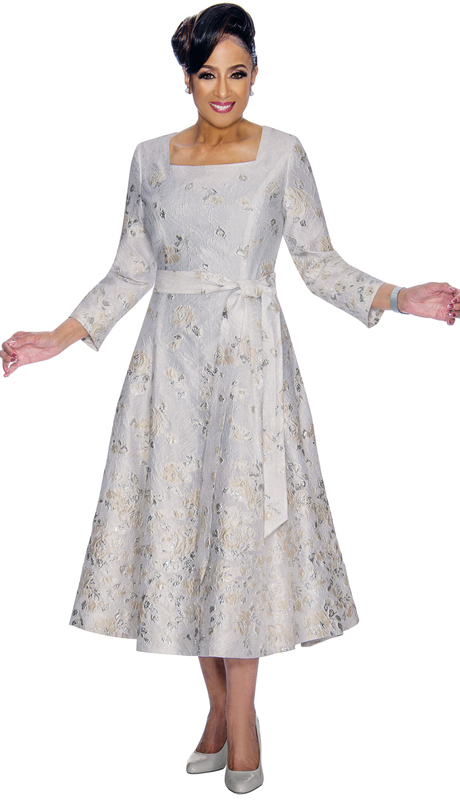 1 piece long, floral brocade dress. Square neckline, full skirt, with sash tie belt. 1 piece full length dress. Black top with wrap-around shawl collar and large rose brooch. Full skirt with laser-cut floral hem and sash belt. 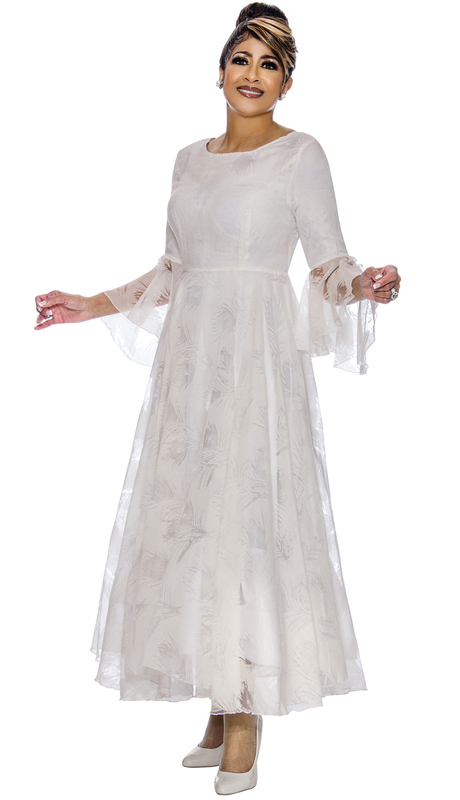 1 piece long, full length dress. 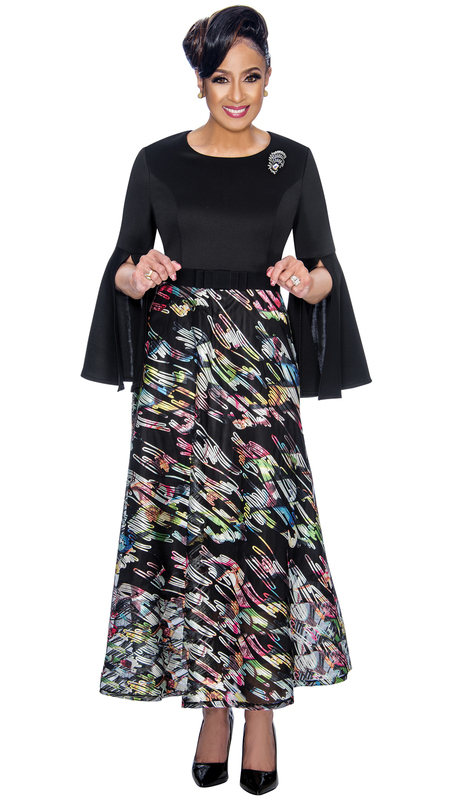 Solid top with dramatic, open flare sleeves and jeweled brooch. Flowy skirt in an abstract pattern with bow-tie belt. 1 piece dress. Solid top with dramatic flared sleeves. Full length, floral print organza skirt with bow-tie belt. 1 piece long dress. Solid top with large bow trim. Full skirt with dot print and sash belt. 1 piece long crepe dress. 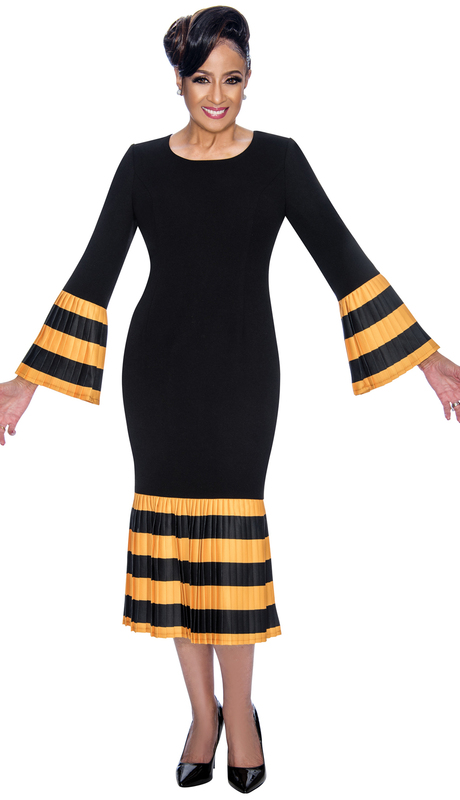 Black fitted dress, with gold stripes accenting pleated sleeves and hem. 3 piece knit suit. Cami with long, kick-pleat skirt. Collarless jacket with contrast edging, jeweled trim, and detachable bow. 2 piece dress. Long knit dress with scalloped hem. Silky jacket with bow closure and jeweled trim.